Dondi West counsels and represents clients on matters related to Technology, Business, Cybersecurity, National Security Affairs, and specialized litigation matters. As former military officer, Mr. West frequently represents military professionals and their dependents during Divorce proceedings. Dondi brings over 10 years of experience to the practice of law, which includes serving on active duty as an Information Warfare Officer in the U.S. Navy and acting as a Cybersecurity consultant and trusted advisor to Department of Defense, Intelligence Community, and Executive Branch organizations. Mr. West frequently counsels small businesses, technology start-ups, and government contractors on all aspects of the business life cycle, including business formation, contract drafting and negotiation, intellectual property, technology transactions and licensing, cybersecurity, privacy, and e-commerce. Dondi also assists clients with transactional and litigation issues related to government contracting including drafting, reviewing, and advising on proposals, drafting and negotiating subcontractor, teaming and licensing agreements, and bid protests. 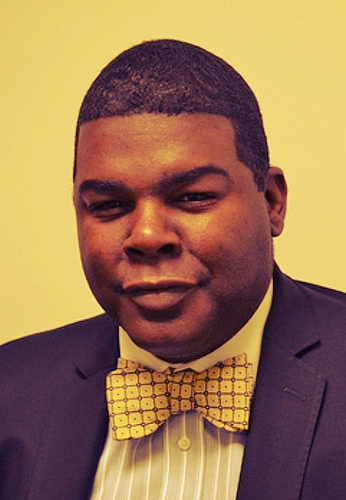 Because of his dedication to hard work and community involvement, Dondi was named one of Maryland’s 40 Very Important Professionals (VIPs) Under 40 by the Maryland Daily Record, and was honored as a Distinguished Historically Black College and University (HBCU) Alumni by Black Engineer & Information Technology Magazine. Most recently, Dondi was the only attorney named to the 2014 Rising Stars List by Maryland Super Lawyers in the area of Technology Transactions. Mr. West is a member of the Board of Directors for INNterim Housing Corporation, which is a nonprofit organization that provides shelter, support, and job training to homeless mothers. Dondi earned his Juris Doctor at The University of Maryland School of Law, where he was an editor on the Maryland Law Review. In addition, he received a M.Sc. degree in Applied Information Technology from Towson University, and a B.S. in Mathematics from Alabama A&M University. Mr. West holds a Security+ certification. Mr. West is an Affiliate Professor at Loyola University Maryland, where he teaches a course titled Legal, Ethical, and Global Perspectives of Cybersecurity.